Would you buy a book from a vending machine? Jump to media player Machine Supply creator Matt Webb explains the concept behind his vending machine that sells books. E-books versus paper books Jump to media player E-books are making a big difference to the reading habits of young children, particularly boys. Costa Book of the Year: Novel Jump to media player The Costa Book of the Year is announced on January 26th. Nick Higham spoke to each of the shortlisted authors, including Kate Atkinson, winner of the novel prize. Traditional book shops are under increasing threat from the digitisation of both the product and the market place. 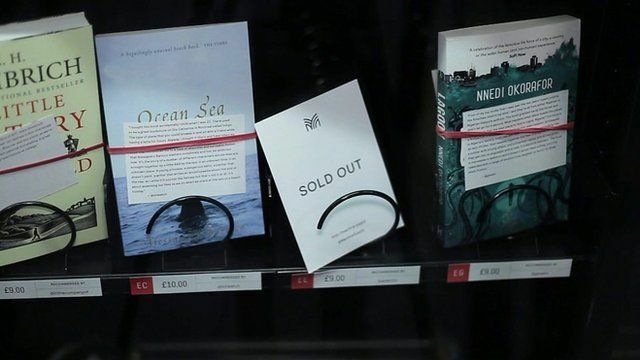 But one tech entrepreneur has bucked the trend, combining the physical and the digital with a book shop in a vending machine that tweets when it makes a sale. Machine Supply is the brain-child of Mind Hacks author Matt Webb, who explains the concept.